The interaction of ethylenediamine with iodic acid by the slow evaporation method at room temperature gives rise to the crystals of α-C2H10N2(IO3)2 and β-C2H10N2(IO3)2 denoted as α-EBI and β-EBI, respectively. The acentric crystal structures of both polymorphs that consist of [C2H10N2]2+ cations and [IO3]− anions connected together by N–H…O hydrogen bonds are discussed and compared. The optical properties of both polymorphs were determined using UV-vis diffuse reflectance spectroscopy (DRS) showing a wide transparency windows. The DFT calculations using the mixed B3PW91/[6–31 + (d, p), LanL2Dz] basis set of optimized geometries, dipole moment (μ), polarizability (α), first static hyperpolarizability (β), and population analysis were also reported. The experimental and theoretical IR and Raman spectra were compared, and the careful and complete assignment of the vibrational motions of both compounds was undertaken with the aid of potential energy distribution (PED) analysis. DSC and AC conductivity analysis revealed that α-C2H10N2(IO3)2 and β-C2H10N2(IO3)2 undergo a first-order phase transition around 360 K. The electrical σtot (ω, T) conductivity obeyed to Jonscher’s power law and the temperature dependence of the S(T) parameter showed that the electrical conductivity of both polymorph phases might be treated using the correlated barrier hopping (CBH) model. The online version of this article ( https://doi.org/10.1007/s11224-019-01317-w) contains supplementary material, which is available to authorized users. The authors are grateful to Mr. Giovani Predieri, Mr. Pier Paolo Lottici, and Mr. Danilo Bersani for their help with the vibrational measurement. Moreover, authors wish to thank Mr. Salvatore Vantaggio and Dr. Silvio Scaravonati of the Department of Mathematical, Physical and Computer Sciences of the University of Parma for their contribution in carrying out the impedance spectroscopy measurements. In addition, the authors would like to express their deepest appreciation to Mr. Paolo Pelagatti for his warm hospitality and technical help. 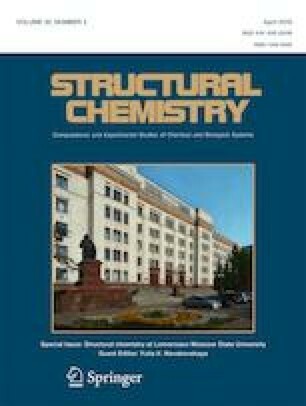 Last but not least, the authors would like to extend their sincere thanks especially to Mr. Davide Balestri and to all the members of the Units of Analytical Chemistry Cultural Heritage, Inorganic and Crystallography (SCVSA department, university of Parma, Italy), for their technical help and warm hospitality. Finally, the authors acknowledge also the support of the Tunisian Ministry of Higher Education and Scientific Research (LR11ES46).